If you ask foreigners what causes the most difficulties when studying Russian, a lot of them will answer that it is the Cyrillic alphabet. In fact, it is really very different from the Latin alphabet which is much more familiar. Why it is like that, what history the Cyrillic and modern Russian alphabet have – these are the issues we are going to discuss in our today’s article. Few issues related to the appearance of the Cyrillic alphabet still remain unsolved, and scientists are not able to provide a single opinion. Therefore, we are going to discuss the version that is shared by the most scientists. In the second half of the 9th century Slavic people comprised a relatively large share of the population in Byzantium (Eastern Roman Empire). It encouraged the Byzantine Emperor Michael III to create a new alphabet for the Old Slavic language in order to have religious Greek texts translated. He entrusted brothers Cyril and Methodius with this task. Later, a new alphabet was named after one of the brothers. 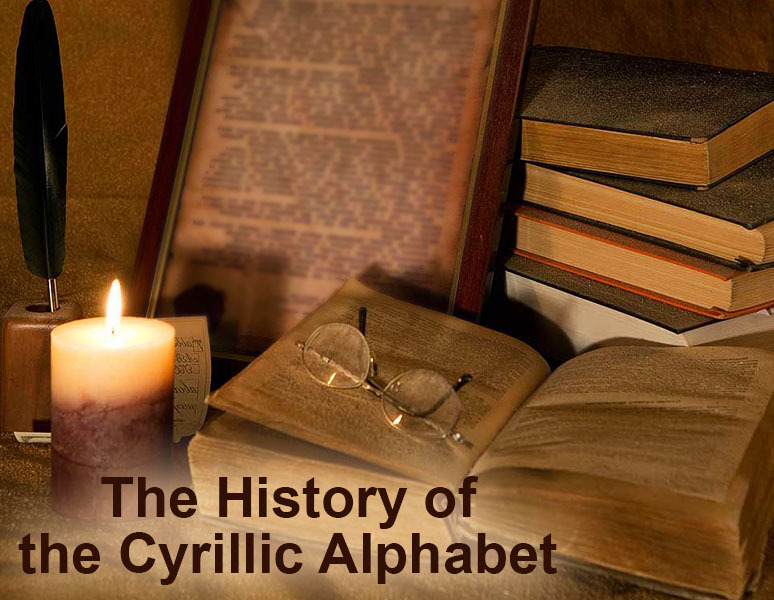 However, chances are, that Cyril first invented the so-called Glagolitsa , an alphabet that differed from the Cyrillic in spelling of its letters. But the Cyrillic alphabet was later developed by one of Cyril’s students. At the end of the 10th century the Cyrillic alphabet became the church language in Kievan Rus’. It also started to spread in all Russian territories and became the main type of a written language. 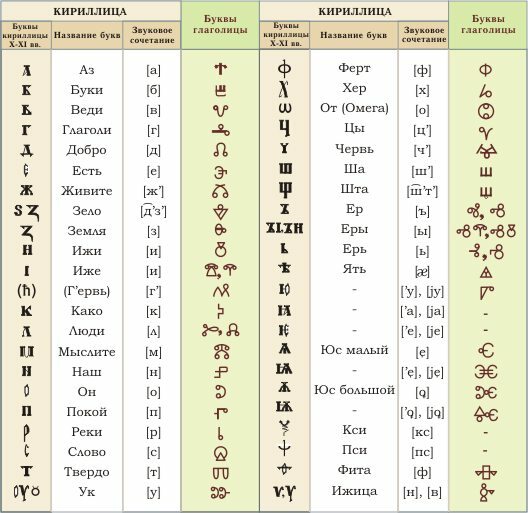 At the time the Cyrillic alphabet consisted of the letters from the Greek alphabet and several additional letters which denoted Slavic sounds missing in the Greek alphabet. Since the Cyrillic alphabet first appeared in the Russian territories, it did not change a lot for a long time. The first significant reform of the alphabet happened at the beginning of the 18th century when Peter the Great decided to reform the written language. The Russian Emperor decided to liquidate some letters and he introduced a new way of writing – Civil Russian alphabet. Lower case letters have been used since then (before that, texts were written with capital letters). The new way of writing was meant for civil texts: text books, papers, military, scientific literature and fiction. The old way of writing was applied only for religious literature. It is still used by the Church. The introduction of the civil Russian alphabet made it possible for Russian books to look like European ones. It became much easier to get new booked printed using printing machines from Western Europe. 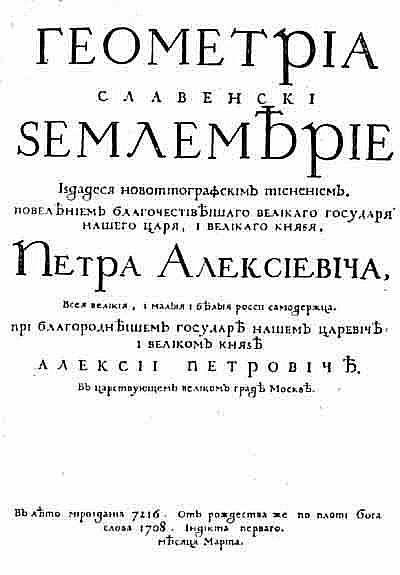 The Geometry text book issued in 1708 was the first book printed in the civil Russian alphabet. In Russia they also started to use Arabic numerals after the reform. Before that, the letters from the Cyrillic alphabet were used instead of numerals. The next significant reform happened only in the beginning of the 20th century, in 1917-1918, although the preparation for it started much earlier. After this reform the Russian alphabet got rid of several letters, and it started to look like it looks now. What other languages use the Cyrillic alphabet? In the 20th century linguists created written languages for numerous indigenous ethnic groups residing on the USSR territory on the basis of the Cyrillic alphabet. Therefore, the Cyrillic alphabet is used by quite a few languages. As the official alphabet the Cyrillic is used in a lot of Slavic and non-Slavic states, for example, Ukraine, Belarus, Bulgaria, Macedonia, Kazakhstan, etc. If you have any questions while reading the article, you are welcome to leave them in the comments. It is true that in the 20s in Russia for the Russian language wanted to use the Latin alphabet? Yes it is. By the way, similar proposals have been made in the 19th century. In the USSR, several versions of the Latin alphabet were considered for the Russian and other languages. Fortunately, this idea was rejected. Thank you for your question! The followers of Cyril and Methodius continued the work that was started by the brothers on the territory of Great Moravia, but they had to run away because of Moravia Church crisis at the end of 9th century. They took along the works created in Moravia, and settled down in Bulgaria generally. There they created world-known schools in Preslav, Pliska and Ohrid, where their works started to proliferate through Ancient Rus. This is the most typical theory, which is considered as dominant.